It's not just the shape but also the color. Even though I personally think of irises as the deep indigo blue of the background, evidently the irises on the River Leie are of the light yellow variety, as portrayed in the classic French Fleur de Lys. Another theory is that the name comes from the German word, Liesch, for wild yellow irises, also spelled Lies and Leys in the Middle Ages, and possibly plentiful in northern France. What sets me off about the Fleur de Ly is not living in France but rather visiting Florence, where the Hall of Lilies (yes, I know) in the Palazzo Vecchio is covered with the Fleur de Lys in homage to the French support of Florentine independence, back when Florence was its own state, a rival of Venice and Rome. This room was painted in the 15th century and tells you something of the pro-French feeling at the time. Back then, France looked like this, as shown in the map room, just off the Hall of Lilies. Instead of a neat hexagon, it looks more like cartoon stay-puft monster walking. Also in honor of the French connection, Florence adopted a version of the Fleur de Lys as its own city's symbol. The Italians draw it with stamens emerging from between the petals and portray it as red on silver (or white/gray). Il giglio or fiordaliso, as it's called in Italian, is the coat of arms for the city since the 11th century. Starting from the 14th century, it became the coat of arms for the Medici family, which is nearly synonymous with Florentine royalty anyway (the Medicis, in turn, tie back to France: Marie de Medici, born in Florence, became Queen of France through her marriage to King Henri IV. She had Paris' Luxembourg palace and gardens built in the 1600s). Here, you can see the fiordaliso painted on the bottom of a Florentine streetlamp. In France, while royalty may be, officially, a thing of the past, you still see the Fleur de Lys around, used even for decorations and modern marketing purposes. It appears in the flags and coat of arms of many cities and regions, including Paris, Lyon, Toulouse, Bordeaux, Burgundy, Le Havre, Aix-en-Provence, Limoges, Orleans, Rouen, and Chartres. This particular Fleur de Lys-adorned T-shirt shop is around the corner from Sacré Coeur. It's not just me, right? There's something reminiscent about the domes, softness, and general grandiosity of the two that link them in my mind. From the top of the domes, each city has its own tower dominating the view. While we're talking about the French-Italian connection and the Palazzo Vecchio: You know those day-dream fantasies that (I assume) everybody has, where there's some disaster, but you end up saving the day? I have a recurring one in which a young child is lost and, thanks to some unusual language I speak well enough -- Japanese, Chinese, sign-language, whatever -- I am able to keep the child safe and happy and return him to his grateful parents. Well, here in the Palazzo, it comes true. I find a red-headed four-year-old boy, Arthur, running up and down the stairs and screaming in French for his parents. I'm able to calm him down, get him laughing and comfortable, and find guards to track down his parents in the big museum. He speaks only French, but the guards speak only Italian and English, so I am translator, and I chat with the boy and assure him his parents will find us soon. After about 10-15 minutes, his mother appears, crying and shaking but oh so grateful. What she doesn't know is that at one point early in our hunt when I was mostly following Arthur around to keep him safe, Arthur actually makes it out of a museum exit, and I have to coax him back inside. He would have ended up in the big square pictured below in the heart of Florence, Piazza della Signoria in front of the Palazzo Vecchio. Pretty scary for a 4-year old, and for his mom. It's not often that speaking a foreign language makes me feel like a hero. 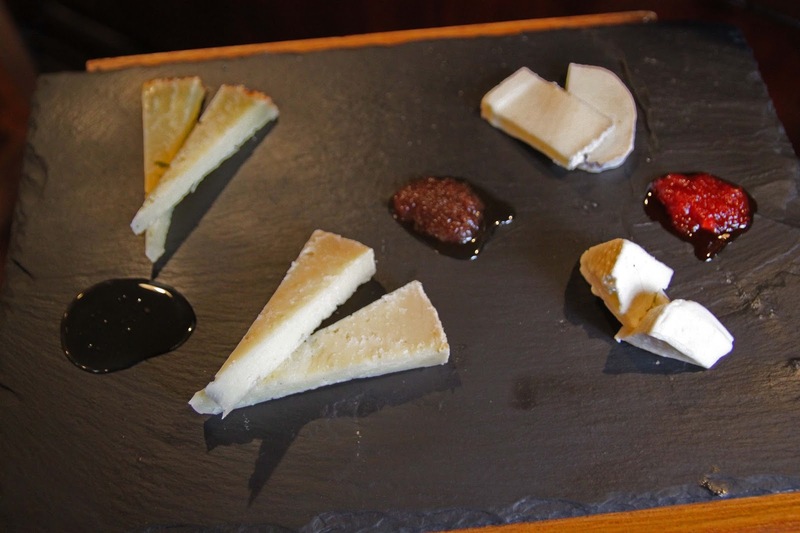 Royal Briard is a raw cow's milk cheese that reminds me of a Brillat-Savarin from Seine-et-Marne. It's surprisingly light and fluffy, with a silky texture that melts in the mouth. It turns out that my impression is not far off: Royal Briard is made in the Ile-de-France region, where Brillat-Savarin is also made, and Royal Briard is sometimes considered part of the Brillat-Savarin family. The cheese is buttery, but that implies a solid, creamy texture. I'm not sure how Royal Briard holds its tall towering disc shape, because the second it hits the mouth, it's more like melted butter, coating the mouth with salty, grassy velvet. Yum. Surprisingly, it has just a bit too much salt and flavor for Gigi, but that could also be because we get a particularly ripe chunk of it, where the white bloom has started to age into a funky brownish orange. That's OK, because it just means there's more for me. If I'd had my way, the cheese for this story would not only have been a "Royal" French cheese for a French royal symbol, the Fleur de Lys, it would also have been a hard sheep's cheese, like the Pecorino that I eat all over Tuscany. My sister-in-law and I travel down to Pienza, the heartland of Pecorino-making territory, and eat plenty of it, often melted with pear and radicchio. If the cheese could have been dome-shaped, in honor of Sacré Coeur and the Duomo, I would have liked that, too. Royal Briard is made of cows' milk, which seems conspicuously absent in Italian cheeses (even real Mozzarella is made from buffaloes milk, not cows). Despite a few world-class cheeses, including Mozzarella, Parmesan, and Pecorino, I find going to Italian cheese stores disappointing after the French fromageries I'm accustomed to. The soft and goat cheese section is so tiny. And so, in the end, my cheese is neither sheep, nor dome-shaped, nor even found close to the Italian border. But, it's made in Ile-de-France, the seat of the French kingdom throughout the ages whose symbol is, you guessed it, the Fleur de Lys. The Royal Briard is appropriately named, as it's a cheese fit for a king -- or a cheese queen like me. I love your posts and this one in particular! Thanks so much! One of my favorite posts of yours. Probably because it is of two of my favorite cities in the world. I wear both the French Fleur de Lys & Florentine fiordaliso jewelry together because of my love of both cities. And to confound people when in answer to their "Oh, I see someone's been to New Orleans" I say "No". Sacré Coeur looks more like an Italian Duomo than many French churches. It reminds me a lot of the Venitian Duomo on Piazza San Marco. I am tickled by the thought of people walking away with a perplexed look on their face ("...but it looks like a New Orleans symbol..."). Glad you enjoyed the post. 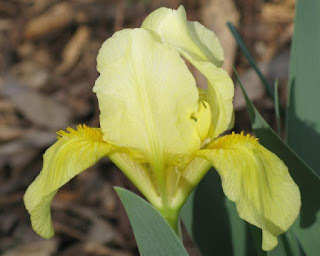 And did you know the the wild (yellow) iris is actually the symbol of Brussels ? I didn't. But I do know! Merci! We enjoyed a sumptuous five-course dinner at the FRENCH Officers Club in Paris on our last night in Paris in September, 2017. While every dish was inspired, we all wanted more of the Royale Briard. I have searched fromageries in Atlanta, DC, and the usual spots like Whole Foods. Any clue where we can purchase this amazing FRENCH delight without going to the airport.